Imagine a home that is not only energy efficient, but also produces its own power. Just like a typical home, a Zero Energy Home (ZEH) is connected to and uses energy from the local electric utility. But unlike typical homes, at times a ZEH makes enough power to send some back to the utility company. Annually, a ZEH produces enough energy to offset the amount purchased from the utility provider, resulting in net-zero annual energy bills. A ZEH combines state-of-the-art, energy-efficient construction techniques, and equipment with renewable energy systems to return as much energy as it takes in on an annual basis. 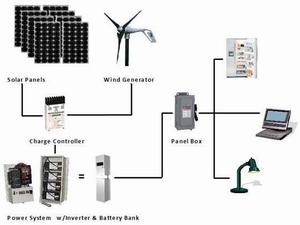 When renewable resources cannot provide the entire home’s power (at night or on a cloudy winter day) the homeowner purchases energy from the utility provider. 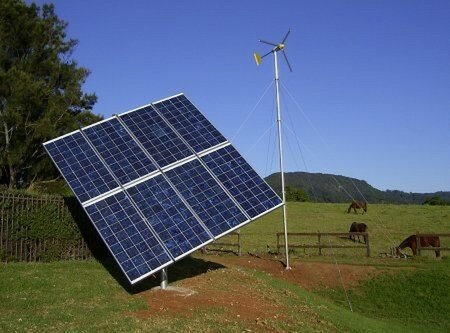 When renewable resources produce more than the house is using (during sunny days or when no-one is home) power is sent back into the utility grid. In some cases, the utility provider will operate the home’s electric meter in reverse, essentially providing the homeowner with full retail value for their energy. 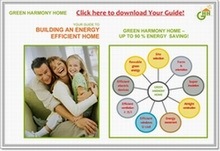 Why Build a Zero Energy Home? One of the major issues we are faced with today is global warming, which is negatively affecting the environment and worldwide weather patterns. Global warming is a direct result of harmful gas which is being emitted into the Earth’s atmosphere. Zero Energy Homes do not produce emissions or atmospheric pollution thus helping to reduce global warming. 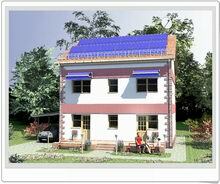 Is a Zero Energy Home a Realistic Home? 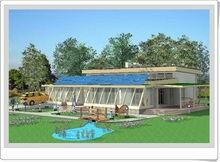 Once just a concept, Zero Energy Homes are now a reality throughout the world. The opportunities to construct ZEHs are growing as solar and other renewable energy technologies become more affordable. Never having to pay energy bills is a very attractive concept, but only if achieving this high level of performance does not greatly increase building costs. Because of the design challenges and sensitivity to a site that are required to efficiently meet the energy needs of a building and occupants with renewable energy (solar, wind, geothermal, etc. ), we apply holistic design principles, and take advantage of the free naturally occurring assets available, such as passive solar orientation, natural ventilation, daylighting, thermal mass, and night time cooling.